Observational studies suggest that metformin may reduce cancer risk by approximately one-third. We examined cancer outcomes and all-cause mortality in published randomised controlled trials (RCTs). RCTs comparing metformin with active glucose-lowering therapy or placebo/usual care, with minimum 500 participants and 1-year follow-up, were identified by systematic review. Data on cancer incidence and all-cause mortality were obtained from publications or by contacting investigators. For two trials, cancer incidence data were not available; cancer mortality was used as a surrogate. Summary RRs, 95% CIs and I 2statistics for heterogeneity were calculated by fixed effects meta-analysis. Of 4,039 abstracts identified, 94 publications described 14 eligible studies. RRs for cancer were available from 11 RCTs with 398 cancers during 51,681 person-years. RRs for all-cause mortality were available from 13 RCTs with 552 deaths during 66,447 person-years. Summary RRs for cancer outcomes in people randomised to metformin compared with any comparator were 1.02 (95% CI 0.82, 1.26) across all trials, 0.98 (95% CI 0.77, 1.23) in a subgroup analysis of active-comparator trials and 1.36 (95% CI 0.74, 2.49) in a subgroup analysis of placebo/usual care comparator trials. The summary RR for all-cause mortality was 0.94 (95% CI 0.79, 1.12) across all trials. Meta-analysis of currently available RCT data does not support the hypothesis that metformin lowers cancer risk by one-third. Eligible trials also showed no significant effect of metformin on all-cause mortality. However, limitations include heterogeneous comparator types, absent cancer data from two trials, and short follow-up, especially for mortality. The online version of this article (doi: 10.1007/s00125-012-2653-7) contains peer-reviewed but unedited supplementary material, which is available to authorised users. An erratum to this article can be found at http://dx.doi.org/10.1007/s00125-012-2740-9. People with diabetes have a higher incidence of cancer than those without diabetes [1, 2]. Large cohort studies of individuals with diabetes have shown that those treated with metformin have a lower risk of cancer of approximately 10–50% compared with those on other glucose-lowering treatment regimes [3, 4, 5, 6, 7, 8, 9]. Since some of these studies compared cancer risk among participants receiving metformin with the risk in those receiving specific alternative glucose-lowering therapies, the finding that metformin is associated with a lower risk of cancer could equally be interpreted as associations of other therapies with increased risk. Meta-analyses of prospective observational studies report an overall reduced risk of approximately one-third (31% and 33%) in metformin compared with non-metformin users; conclusions about dose–response relationships are conflicting [10, 11]. Metformin may also be associated with improved survival after cancer, compared with either people with diabetes receiving sulfonylurea treatment or people without diabetes . Studies in vitro continue to examine potential mechanisms for anti-cancer effects of metformin: for example, metformin is reported to inhibit the growth and proliferation of tumour cell lines , to promote apoptosis  and to inhibit tumour migration . Animal models also show effects of metformin on cancer: for example, recent research in mouse models has shown metformin to slow cellular ageing and postpone tumour formation [16, 17]. Thus the observational evidence of low cancer rates in people taking metformin is accompanied by laboratory evidence that the association may be causal. Systematic reviews and meta-analyses that have examined cancer risk for metformin have emphasised the observational evidence, but included only three randomised trials [10, 11]. Metformin has been tested in randomised trials for diabetes prevention, diabetes management and management of polycystic ovary syndrome [18, 19, 20]. Although these trials were not designed to examine the risk of incident cancer in people randomised to receive metformin, collectively they have accrued thousands of person-years of follow-up. There are also trials in progress of metformin as an adjuvant therapy in cancer treatment (for example, ClinicalTrial.gov registration no. NCT01210911, NCT01333852 and NCT00909506), but these will not be informative about cancer prevention. We have therefore searched the literature for large randomised controlled trials of metformin in populations without pre-existing cancer and combined RRs for cancer incidence and for all-cause mortality in meta-analyses. We reviewed the literature for randomised trials of metformin in at least 500 adult participants and at least 1 year of follow-up. Medline was searched, using a sensitive filter for randomised trials (the Cochrane Highly Sensitive Search Strategy ), for records with metformin, metsol or glucophage in the title abstract or keywords (search terms as follows: #1 metformin/; #2 (metformin or metsol or glucophage).tw. ; #3 #1 or #2). The search was repeated in EMBASE and the Cochrane Library. Final searches were run on 19 April 2012. Records returned from this search were checked for the following inclusion criteria: in humans; in adults; a randomised trial; metformin one of the randomised therapies; at least 500 participants; at least 100 participants randomised to metformin; follow-up at least 1 year; trial population not defined to have pre-existing cancer; not a crossover or pseudo-randomised design. Full references for the remaining records were reviewed, and excluded if they did not meet the above inclusion criteria, or if they met either of two further exclusion criteria (majority of trial participants had a severely life threatening illness; trial of metformin combination therapy in which it was not possible to separate an effect of metformin). At all stages, records were reviewed by two independent reviewers and discrepancies resolved with a third reviewer if necessary. Final results were cross-checked against a search of the clinical trials registry ClinicalTrials.gov and the reference list of a recent Cochrane systematic review on metformin and lactic acidosis . The investigators of eligible studies were invited to participate in the collaboration and were asked to provide information for each arm of the study, including events and total person-years for each of all-cause mortality, cancer incidence and cancer mortality. If an investigator declined to collaborate, the information was extracted from publicly available sources if possible. Analyses were on an intention-to-treat basis. We used RRs that were published or provided by the investigators of each study, if available, including approximations to RR such as OR or HR; otherwise, RR for metformin vs comparator was estimated from the number of events in each arm and number of person-years. RRs were combined in a fixed effects inverse variance meta-analysis (and, in a sensitivity analysis, random effects meta-analysis) and presented, with 95% CIs and I2 statistics for heterogeneity, as forest plots. We carried out analyses stratified by comparator agent and by level of blinding. Multiple independent comparisons in factorial trials were combined to give a single summary estimate for the trial. In trials with a single metformin arm but multiple comparator arms, we preferentially selected the placebo or usual care comparator arm, if available. Otherwise, trials with multiple active comparator arms were presented in figures with one line for each comparator arm but, prior to meta-analysis, results for each comparison were combined into a single estimate by generalised least-squares regression, taking into account the correlations between the comparisons . Analyses were conducted in Stata version 12 (Statacorp, TX, USA; www.stata.com) using the metan package [24, 25]. While reviewing abstracts, but before data collection, it became clear that several 1-year trials, with potentially zero events in one or both study arms, would be included. A subgroup analysis, categorising trials as 1-year (52 weeks to 366 days) or longer trials (>366 days maximum follow-up), was agreed, and that analysis of the 1-year trials would be carried out using a method robust against zero cells . Also during the literature review it became apparent that in at least one included study, data would be available for cancer mortality but not for cancer incidence. For those studies without cancer incidence data, RRs for cancer mortality were extracted instead. Pre-specified secondary analyses included an analysis of trials with no active comparator. Trial quality was assessed under five headings of the Cochrane Risk of Bias Tool : random sequence generation; allocation concealment; blinding of participants and personnel; blinding of outcome assessment and risk of incomplete outcome data. To address the sixth heading, risk of selective reporting, we report reasons given by those study groups that declined to participate. Of 4,039 records returned by the literature search, 14 were eligible for inclusion (Fig. 1). One trial was a 1-year comparison of metformin to MK0767, an agent that was withdrawn from development before achieving licensed status because of concerns about oncogenicity in animal models; a post-hoc decision was taken to exclude this, leaving 13 trials for study. Ten were in people with diabetes and three in people without diabetes (Table 1 and electronic supplementary material [ESM] Tables 1 and 2). Five were open-label, of which one used blinded outcome assessment , seven were double-blind, and one had a double-blind comparison to a placebo group and an open label comparison to an intensive lifestyle modification group , from which we selected the placebo group as comparator. RRs for cancer could be obtained for 11 trials, representing 51,681 person-years of follow-up during which 398 incidences of cancer were recorded. The two trials for which RRs for cancer could not be obtained represent 14,816 person-years of follow-up. One group declined to contribute data due to reservations about contributing serious adverse event data in the absence of an adjudicated cancer endpoint . Another group has previously published cancer data but not for the two randomisation groups eligible by our inclusion criteria . Of the 11 trials for which data were obtainable, one trial of 531 people without diabetes who were followed for up to 2.5 years , and one trial of 658 people with diabetes who were followed for up to 1.5 years , recorded no cancers in either metformin or comparator group. These trials were therefore omitted from analyses of cancer incidence, leaving 49,367 person-years in nine trials for analysis. The summary RR for cancer incidence in people randomised to metformin compared with comparators was 1.03 (95% CI 0.82, 1.28), with I2 statistic for heterogeneity between trials 15%. When two trials without cancer incidence data were incorporated, using RR for cancer mortality as a surrogate, the summary RR was 1.02 (95% CI 0.82, 1.26) (Fig. 2). In a methodological sensitivity analysis, we repeated the analysis of Fig. 2 using random effects instead of fixed effects meta-analysis, and obtained summary RR 1.05 (95% CI 0.80, 1.38). The summary RR from 1-year trials was 0.88 (95% CI 0.31, 2.49) and the summary RR from trials longer than 1 year was 1.04 (95% CI 0.84, 1.29). The summary RR for cancer was 1.36 (95% CI 0.74, 2.49) in trials comparing metformin to placebo or usual care and 0.98 (95% CI 0.77, 1.23) in trials comparing metformin to active comparators. In a post-hoc analysis, the summary RR for cancer was 0.99 (95% CI 0.80, 1.24) in trials in people with diabetes. All included trials were judged to have used appropriate methods of randomisation and measures for allocation concealment. All used blinded assessment of the incident cancer outcome but were judged at risk of incomplete outcome data (except the UK Prospective Diabetes Study [UKPDS], in which we analysed cancer mortality). The summary RR for cancer was 0.91 (95% CI 0.68, 1.22) in trials using double-blinding and 1.19 (95% CI 0.87, 1.64) in open-label trials. In a post-hoc analysis of trials initiating metformin as monotherapy (i.e. excluding combination therapy trials and the acarbose randomisation group of the Early Diabetes Intervention Trial [EDIT]), the summary RR for cancer was 0.84 (95% CI 0.63, 1.12). RRs for all-cause mortality could be obtained for 13 trials, representing 66,447 person-years of follow-up during which 552 deaths were recorded. Of these, one trial, representing 1,086 person-years of follow-up, recorded no deaths in either randomisation group and is therefore omitted from the analyses of all-cause mortality, leaving 12 trials with 65,361 person-years. The summary RR for all-cause mortality in people randomised to metformin compared with all comparators was 0.94 (95% CI 0.79, 1.12). The summary RR for all-cause mortality was 0.91 (95% CI 0.70, 1.18) in trials comparing metformin to placebo/usual care and 0.97 (95% CI 0.77, 1.23) in trials comparing metformin to active comparators (Fig. 3). The summary RR from 1-year trials was 0.84 (95% CI 0.52, 1.38) and the summary RR from trials longer than 1 year was 0.96 (95% CI 0.80, 1.16). In a post-hoc sensitivity analysis, excluding the UKPDS sulfonylurea trial had the effect of reducing the RR for all-cause mortality in metformin compared with placebo/usual care to 0.67 (95% CI 0.49, 0.93; I2 = 0.0%), and in metformin compared with any comparator to 0.86 (95% CI 0.71, 1.04; I2 = 0.0%). This is the first study to assess cancer risk in over 50 thousand person-years of follow-up in randomised trials of metformin. In contrast to observational and laboratory evidence, we found no statistically significant beneficial effect of metformin on cancer outcomes. Given the broad CIs, a beneficial effect may exist but would be smaller than the reductions seen in observational studies. Metformin had little effect on overall mortality compared with other active diabetic therapies, and a statistically non-significant 10% reduction in mortality compared with placebo or usual care. Strengths of this study include RCT data, many person-years of follow-up, and robustness of the conclusions in sensitivity analyses. Limitations include high clinical heterogeneity between trials, which were conducted in a mixture of populations with varying comparators and background therapies. The low I2 values for statistical heterogeneity, and the methodological sensitivity analysis, indicate that the numerical results are robust against this heterogeneity, but nevertheless the clinical heterogeneity must be considered in the interpretation. 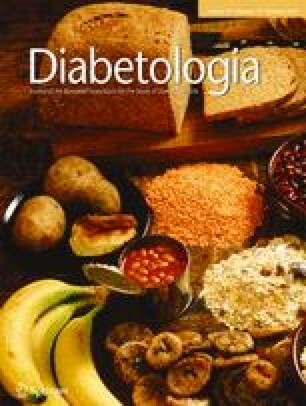 We found a paucity of placebo-controlled trials, especially in diabetic populations, and the analysis of active comparator trials is dominated by two studies, A Diabetes Outcome Progression Trial (ADOPT) and Rosiglitazone Evaluated for Cardiovascular Outcomes and Regulation of Glycaemia in Diabetes (RECORD) [28, 32, 33], both of which used rosiglitazone in comparator groups. The analysis of relative risk for cancer is limited by the absence of two eligible studies, representing 14,816 person-years (23% of the total) [19, 29]. To our knowledge there is no reason why absence of these studies should introduce systematic bias. The analysis of cancer is also limited by an absence of an adjudicated cancer endpoint, except in the two UKPDS trials in which cancer mortality was an adjudicated endpoint. The use of serious adverse event data to identify cancer incidence in other studies is partly mitigated by the blinded design of most trials. Another factor to consider is potential detection bias: for example, it could be hypothesised that clinical investigations triggered by the gastrointestinal side-effects of metformin could coincidentally lead to earlier detection of stomach and colorectal cancers. However, earlier detection of these cancers would be unlikely to completely mask a large reduction in cancer incidence. We cannot rule out effects on specific cancers that are masked by our analysis of all cancers combined since we did not find sufficient data to examine any individual cancer endpoint. Nor can we rule out greater benefits of metformin over longer time periods. In observational studies, the reduced risk of cancer is most apparent in those using metformin for 5 years or more , whereas average follow-up for cancer in our analysis is 4.1 years. In our analysis of mortality, average follow-up is just 2.8 years, and the RRs we report for mortality are unlikely to fully reflect the long-term effects of metformin. Further, our summary estimates for all-cause mortality–including the non-significant 10% risk reduction compared with placebo/usual care–are dominated by the two large trials from the UKPDS group, which appear to show for metformin effects in opposite directions (Fig. 3). These contrasting results, with an increased RR for cardiovascular mortality in the short-term UKPDS metformin plus sulfonylurea vs sulfonylurea only substudy, have been discussed at length elsewhere, noting the small overall number of observed events in this substudy and, in particular, the lower than expected number of events in the sulfonylurea alone comparator group . In a recently published meta-analysis of five observational studies, overall cancer risk was 31% lower (RR 0.69; 95% CI 0.61, 0.79) in people taking metformin compared with comparators . Our study has fewer person-years of follow-up and fewer cancer cases than that analysis, but substantial advantages in design: by using randomised controlled trials and intention-to-treat analysis, we eliminate or reduce many potential sources of bias. It is by no means unprecedented for randomised trials to fail to find effects that were strongly suggested by observational evidence, and the limitations of observational studies are well-acknowledged . Observational studies of metformin could be confounded by indication, or by tolerability of metformin, resulting in systematic differences between metformin users and non-users. However, systematic reviews such as ours are also subject to limitations: for example, the trials here were not specifically designed to address cancer incidence, and so the degree of care with which cancer outcomes were collected is highly variable. Cancer risk in relation to glucose lowering, regardless of mode, was examined by a recent meta-analysis in which cancer risk was non-significantly lower (RR 0.91; 95% CI 0.79, 1.05) in people with diabetes randomised to intensive glycaemic control or standard glycaemic control . Glucose-lowering medications other than metformin have been suggested to reduce or increase the risk of total or site-specific incident cancer, including sulfonylureas, insulin glargine (A21Gly,B31Arg,B32Arg human insulin) and pioglitazone [4, 37]. A meta-analysis of 302 cancer cases in rosiglitazone trials found no significant association with randomisation group in the main analysis  and a meta-analysis of 111 cancer cases in insulin glargine trials also found no significant association with treatment . Otherwise, evidence for and against associations between specific glucose-lowering medications and cancer has largely come from observational studies, interpretation of which is further complicated by the need, in most people with diabetes, for combinations of glucose-lowering therapy as diabetes progresses . Apparent interactions between therapies sometimes have biological plausibility: for example, a large database study found the strongest association of metformin with reduced cancer risk in a subgroup using insulin , which is arguably consistent with an animal model in which insulin promotes tumour growth but metformin negates the effect of insulin . The possibility of such interactions is also a limitation of our analysis: the subgroup analysis of trials initiating metformin as monotherapy found a non-significant 16% cancer risk reduction with metformin, but CIs were wide, and there is insufficient data to justify further subgroup analysis. Limitations such as the lack of an adjudicated endpoint, the heterogeneous comparators and presence in some trials of other glucose lowering therapies, will be overcome by randomised trials specifically designed to determine whether metformin lowers cancer risk. We are aware of at least two such planned trials , but until they are completed, our analysis provides the best randomised evidence to date. Given the limitations and CI widths, it would be premature to rule out a protective effect that is smaller, or present only in certain treatment groups or other subgroups or becomes apparent only over longer time periods. Nevertheless, at present the best randomised trial data available do not support the hypothesis that metformin reduces cancer incidence by as much as one third. We are grateful to the staff of the individual studies for their assistance in collating the data for analysis. The funding for the individual studies has been listed previously. Administrative support for the systematic review was funded by Diabetes UK (grant number 10/00040002). R. Ali has received grants and honoraria from GlaxoSmithKline and sanofi-aventis for research and educational activities in relation to cancer. M. A. Bethel receives research funding from Novartis and Bayer. Her department receives funding in support of research from Merck, Lilly and Amylin. R. P. Camisasca is currently a Takeda Global Research and Development Centre employee with the qualification of Group Medical Director, Diabetes and Metabolism. A. J. Farmer has received funding for travel to meetings in the past 12 months from Pfizer and sanofi-aventis, and his department has received funding from sanofi-aventis and Pfizer in payment for consultancy, but he has no personal interest in this funding. P. Home, for himself or on behalf of institutions with which he is associated, receives funding from manufacturers of most glucose-lowering products, including metformin and its competitors (sulfonylureas, insulins, DPP-4 inhibitors, and thiazolidinediones), for his research, educational and advisory activities. S. E. Kahn has received grant and/or consulting fees from GlaxoSmithKline and Novartis. G. Viberti has, in the past, received consulting fees, grant support and lecture fees from, and has an equity interest in, GlaxoSmithKline; received consulting fees, grant support and lecture fees from Novartis; received consulting and lecture fees from Daiichi Sankyo and Speedel; and received grant support from Pfizer. He is now retired and as such no longer has any conflicts of interest. A. Schweizer is employed by and owns shares in Novartis. P. W. Rose is a partner in Primary Medical Education LLP. R. R. Holman has, in the last 12 months, received research support from Amylin, Bayer, Merck and Novartis; attended advisory boards with Amylin, Lilly, Merck, Novartis and Novo Nordisk; and given lectures supported by Bayer, Lilly, Merck and Novo Nordisk. R. J. Stevens, C. R. Bankhead, F. L. Crowe, B. J. Cairns, S. Harrison, J. A. Hirst, J. McLellan, R. Perera, A. Plüddemann, A. Ramachandran and N. W. Roberts have no conflicts to declare. RJS, CRB, AJF, NWR and RRH contributed to the writing of the protocol; RJS, RA, CRB, MAB, BJC, FLC, SH, JAH, JHM, AP and PWR contributed to the literature review and data extraction; RJS, BJC and RP contributed to the statistical analysis; SEK, GV, RRH contributed to the design and conduct of the ADOPT study; RRH contributed to the design and conduct of the EDIT and UKPDS studies; AR contributed to the design and conduct of the IDPP study; RPC contributed to the design and conduct of the QUARTET studies; PH contributed to the design and conduct of the RECORD study and additional analyses of the ADOPT study; AS contributed to the design and conduct of the Schweizer study. All authors contributed to the interpretation of the results and the preparation of the manuscript for publication and approved the final version.